We have manufactured air pumps for the medical and laboratory industries for over 30 years. We know that precision, safety, and reliability are paramount for the components utilized in your products and systems. 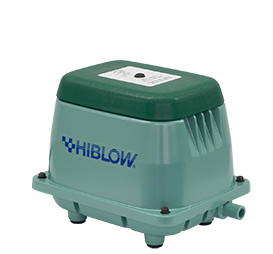 Whether your system or device requires vacuum or pressure, HIBLOW can provide a pneumatic solution that fits your specific application. From 5V through 230V, we can tailor a linear pump to fit your electrical needs. Our business is built upon OEM relationships. We have the experience and capacity for large production volumes, while retaining the flexibility of a custom manufacturer. HIBLOW’s linear pump technology is oil and lubrication free, so there is no worry of contamination. The power consumption of our entire product line is extremely efficient, with the majority of our medical and laboratory pumps consuming less energy than a standard light bulb. Our VP series linear pumps have multiple options for the location of inlet and outlet ports—offering flexibility for the installation of our pump in your cabinet or system. Our Airtronics team continues to develop valve and controller technology that allows one HIBLOW air pump to serve multiple functions within an overall system. Our engineering team can assist with you with integrating these functions into your system and controls. Please contact us for pricing and availability of pumps, or to arrange for an evaluation unit for testing. If you are looking for replacement pumps for a piece of laboratory or medical equipment you own, please contact the system manufacturer. Standard UL approved 120 VAC models, and 230 VAC CE compliant models available. Pumps equipped with thermal overload protection. Contact us for custom voltage applications, including DC system applications using external PWM controllers for modulating pump flow. Our CD-8 is a C-5BN chassis with enhanced internal sealing for applications requiring improved pneumatic isolation from ambient contamination and the pump’s energized components. 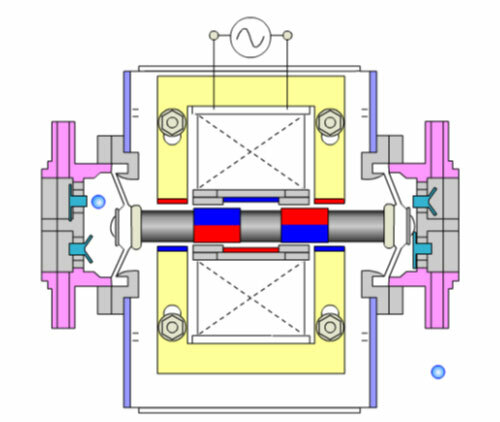 Standard model available only for 120VAC applications. Available with integral low-pressure alarms for 120 VAC applications. Contact us for custom voltage applications, including 12 to 48 VDC system applications using external PWM controllers for modulating pump flow. Contact us for custom voltage applications, including 24 to 48 VDC system applications using external PWM controllers for modulating pump flow. Available with low pressure alarms for 120VAC applications. Dual port models available with internal flow switching solenoids and programmable timers for aerator/skimmer applications. Contact us for custom voltage applications, including 24 – 48 VDC system applications using external PWM controllers for modulating pump flow. Available with low-pressure alarms for 120 VAC applications. Contact us for custom voltage applications, including 48 VDC system applications using external PWM controllers for modulating pump flow. Available with integral low-pressure alarms for 120VAC applications. Optional port locations for maximum design flexibility. Energized component isolation from pumped fluid for “S” models. Contact us for custom voltage applications, including 12-48 VDC system applications using external PWM controllers for modulation pump flow. Standard UL listed models available for 120 and 230 VAC.